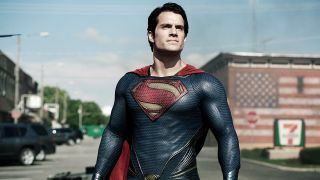 There’s a really well-hidden Star Wars Easter egg in Man of Steel – have you spotted it? A well-hidden Easter egg can lie dormant for years, especially when it comes to superhero movies and games. Batman: Arkham Asylum famously hid a nod to its Arkham City sequel before it was uncovered years later, and Man of Steel has followed suit by including a fantastic Easter egg homage to one of Star Wars’ most daring escapes. Pretty cool, right? Zack Snyder is a massive Star Wars fanboy (aren’t we all?) but, even so, it’s an extraordinarily meticulous scene to pluck out and pay tribute to. Seeing it side-by-side makes it all the more impressive, too. Now we just need to know if Superman can do the Kessel Run in under 12 parsecs. It begs the question whether there are any other hidden nods and winks to properties lying throughout something Snyder-led, such as Justice League. Batman v Superman already has a Watchmen cameo that took a while to uncover, so expect something to crop up sometime around 2024. If you want to gorge yourself on even more Easter eggs, be sure to head on over and check out this whopping list of Star Trek Discovery Easter eggs, as well as the 30 greatest Marvel Easter eggs.